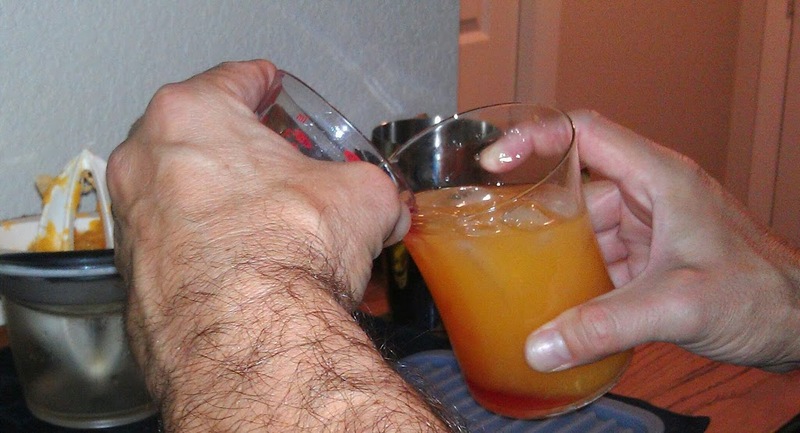 Here at the Consumatorium, we frequently make lemonade out of lemons, or in this case, a great cocktail out of some Mandarin oranges that really weren’t sweet enough. 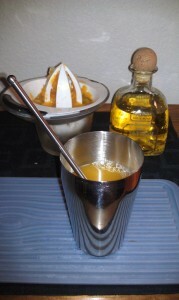 It’s an official IBA cocktail that has been around since at least the 1940s. And I don’t think I’d ever actually had one. I began by slicing some of the oranges in half and juicing them until I had about six ounces. 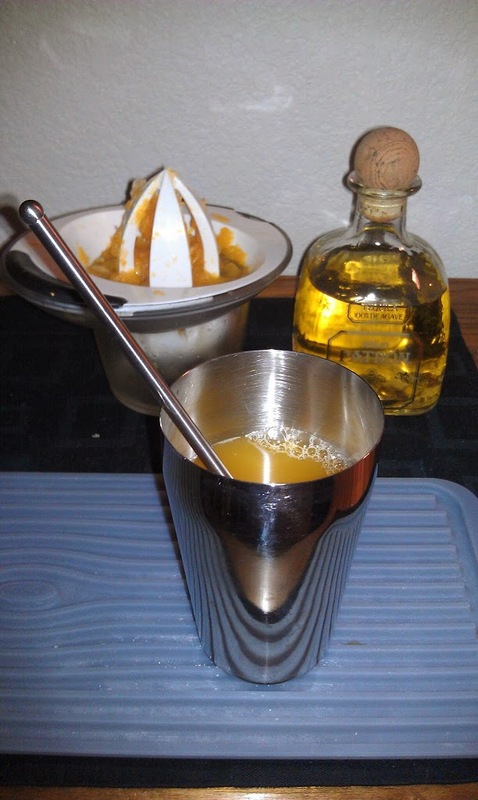 I stirred the tequila and the orange juice in a shaker cup (first photo), added a little sugar to make up for the too-tart oranges, and poured it over ice into a highball glass. 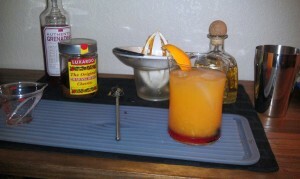 The IBA recipe makes this a bit stronger – a 2:1 ratio of orange juice to tequila, and less grenadine too. I think most people drink this as a highball, as shown, but next time I’m going to mix the stronger version along with an ice orb, which should look even more like a sun rising. We’ll report back!